At 1 p.m., Saturday September 18, participants gathered in the grand lobby and appeared from all angles to orchestrate the dance. Over 40 participants ranging from MOSI employees and volunteers, as well as students, sororities and fraternities from local colleges, took part in the Flash Mob dance. Tanya Vomacka, Vice President of Marketing and Corporate Relations, said “Organizing MOSI’s first Flash Mob dance was not only a way to surprise and entertain our Five Dollar Day guests but also allowed MOSI to capture our guests’ attention to promote our next big event, Hall-O-Boo. We hope that all of our Five Dollar Day guests enjoyed the performance as much as we did putting it on. It’s really cool to see so many different people come together that have never met before and concentrate on a performance such as this.” To check out the Youtube video click HERE! MOSI’s 5th Annual Hall-O-Boo event will be held Thursday, October 28 – Saturday, October 30, 6 – 9 p.m each night. This event is kid friendly and filled with fun fright zones inspired by Hollywood classics, including children’s activities, trick or treat stations and fun science demonstrations. MOSI members can purchase tickets for $10 in advance and $12 on the day of. General admission tickets are $12 and $15 on the day of. 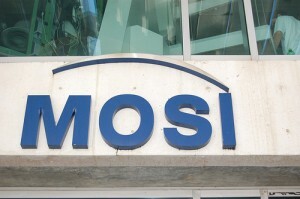 So spend a day out at MOSI and have fun! They&apos;ve got fun down to a science! And as usual, I&apos;ll keep you posted with everything happening in Tampa Bay, including all the cool Tampa Bay area events going on!